In a food processor, puree the ricotta, lemon zest, 2 tablespoons lemon juice, garlic and ¼ cup of olive oil until smooth. Stir in the herbs and season generously with salt and pepper. Bring a medium saucepan of water to a boil over high. Add peas, and cook just until bright green, about 1 minute (leaving them crunchy). Immediately transfer peas to a bowl of ice water; let stand 5 minutes. Drain well. 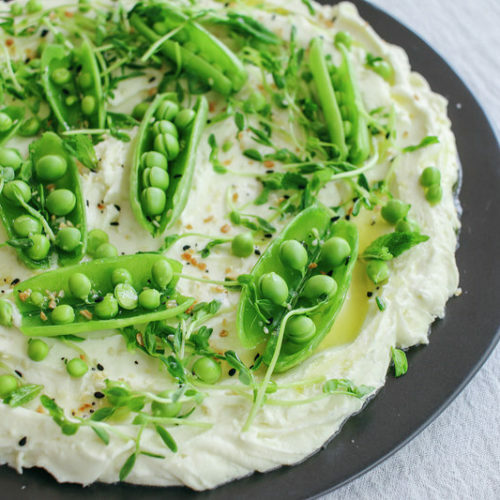 Slice open the peas and toss with pea shoots, fresh mint and lemon juice. 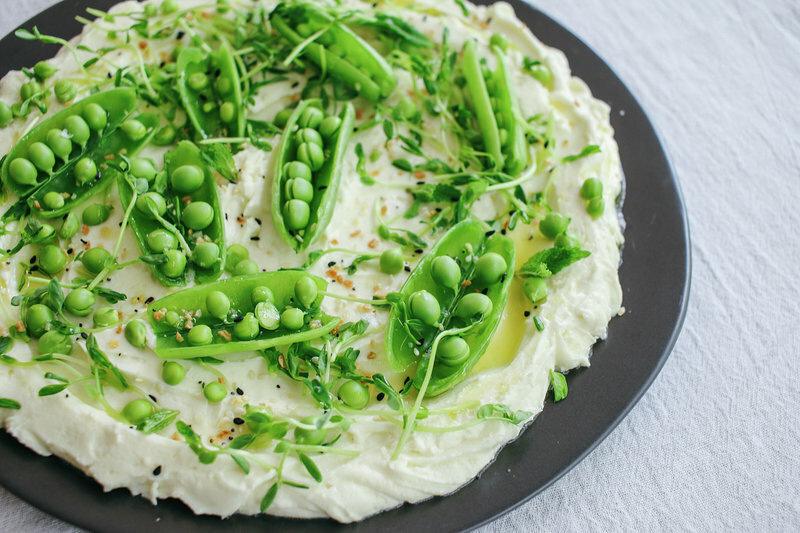 Spread ricotta mixture on a platter, top with peas and herb mixture. Garnish with fresh mint and bagel seasoning (if using) and drizzle with olive oil.